Wedding at a Thermal Spa…. Kalithea is one of the most beautiful places on the island of Rhodes. It is built on a picturesque anchorage full of pine trees, where you can find spa springs, which were built in the 7th century. Kalithea’s buildings were designed in 1930, when the Italian commander named Mario Lago ordered its construction. The Italian architect Pietro Lombardi designed the famous fountain, the square, the entrance and the sanitary facilities. 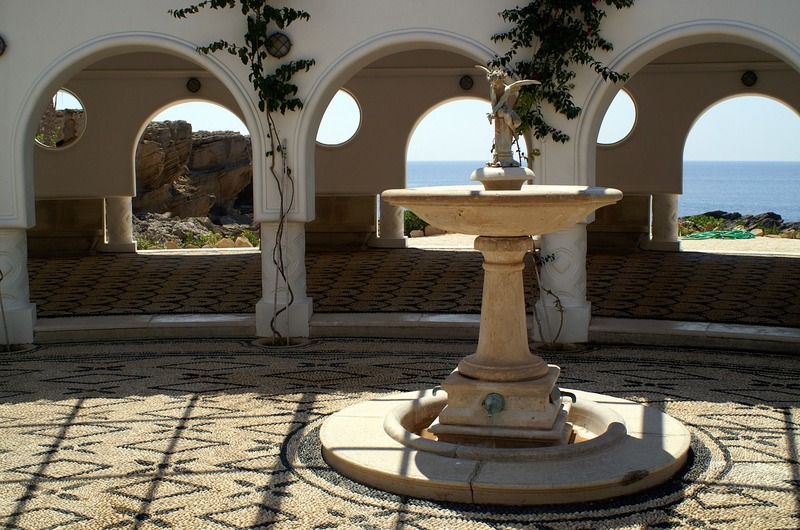 The wedding ceremony can be held on a platform by the sea or in the rotary building which is beautiful! The rotary is also available to hire for the reception, with plenty of room for a sit down meal, breathtaking view across the sea. Great blog! Thanks for the information that you have mentioned. It is very much informative and I like it. Good to have such a wonderful information about Destination Weddings. Thank You! !